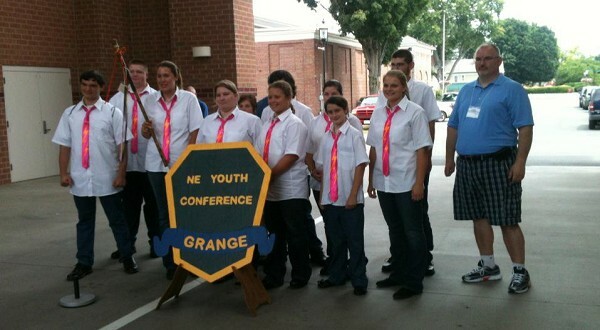 Every July, Youth and Junior Grange members from the Northeast Region gather together for three days of competition, educational and fun activities. The 2012 Northeast Region Grange Youth Conference, which was hosted by the Connecticut State Grange, was held July 13-15 at the Eastern States Exposition ("Big E") Fairgrounds in West Springfield, Massachusetts. The states that make up the Northeast Region are Connecticut, Massachusetts, Rhode Island, Maine, Vermont, New Hampshire and New York. Youth, Juniors, and those young-at-heart enjoyed three days of competitions, education and fun. The conference included a pizza and movie party, a visit to the Springfield Museum, talent, drill team and other competitions, awards banquet, and even an inspirational non-denominational service. Jody Cameron, Connecticut State Grange President and one of the coaches of the state's Youth Drill Team, commented on the importance of the conference to the youth and junior Grange members attending. "Young members are who will advance our organization in the near future," he said. "Conferences like this, where they participate in public speaking and drill competitions, give them the tools to not only lead our organization, but set them apart from their peers." Connecticut had the largest delegation represented at the conference, where attendance totaled near 100. Participants came from throughout New England and New York. 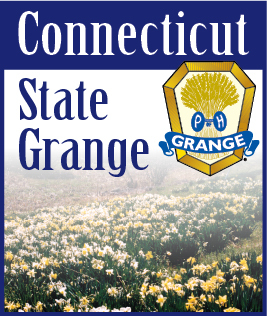 The state's youth and juniors were well-awarded for their efforts, placing first in the Grange Spirit Stick contest and third in the Grange Drill Team Competition, as well as numerous accomplishments by both Hillstown Junior Grange (East Hartford) and Ekonk Junior Grange (Sterling) members in the Junior Talent Competitions. 2012 is the inaugural year of the Spirit Stick competition. The Spirit Stick, which was hand-crafted by Connecticut State Grange First Lady Jodi Ann Cameron's father George Bloom, was awarded to the youth and juniors from the state that showed the most Grange Spirit throughout the conference. The winning State will retain the Spirit Stick for one year. Cameron recognized Connecticut State Grange Youth Director Lisa Lamoureux for all of her efforts coordinating the successful event. "Lisa and her team put a lot of time into planning and hosting this conference, she did an outstanding job," he said. "Her organizational and leadership skills really shined. Every event went off as planned and were all well received."